Get ready for an amazing year with Elon Dining! We have so much to share with you this year! From new locations opening, to new local partnerships, to delicious new residential dining menus, there is so much to get excited about. Here are just a few things to look forward to! 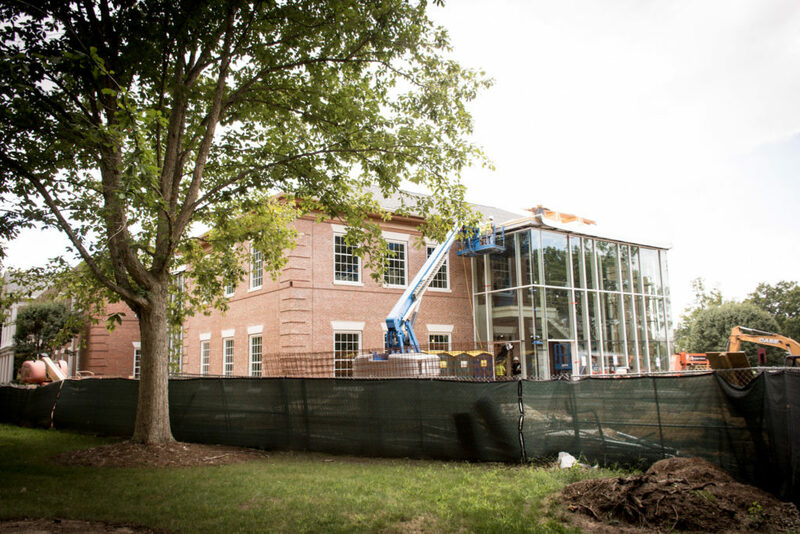 McEwen Dining Hall is re-opening this Fall after a complete renovation! McEwen will now feature a completely re-imagined, all-you-can eat residential dining hall, three brand new retail locations (Knead, Village Juice Co., and Pei Wei), and welcoming seating areas filled with warmth and natural light! Our all-you-can-eat residential dining hall at McEwen consists of four unique stations, Greens and Grains, Made to Order, and Home and Away and Knead. Greens and Grains will feature a huge salad and grain bar, complete with locally sourced produce and offering endless salad and grain bowl combinations to guests. 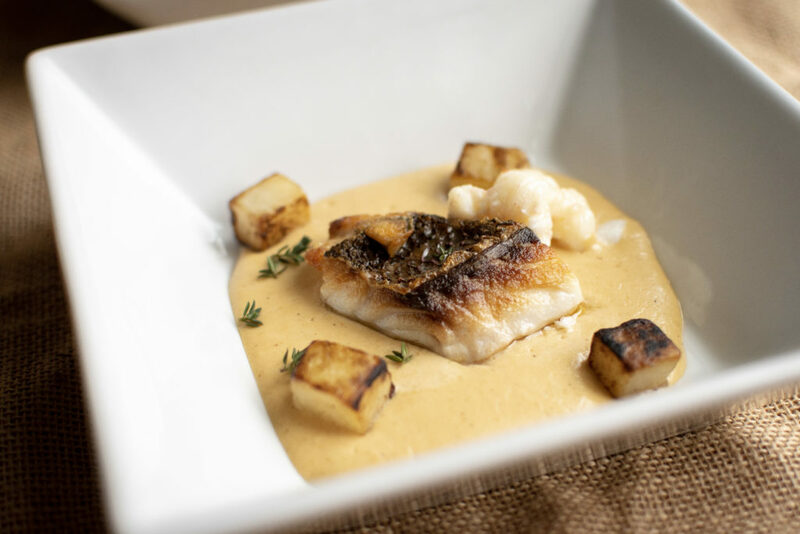 Made to Order is an exciting, customizable concept and will, depending on the day, offer guests the opportunity to create everything from their own fresh pastas to delicious breakfast dishes. Being away from home for the first time can be difficult, which is why Home and Away will offer delicious comfort foods, such as rotisserie chicken and other home-style favorites! Freshly ground and brewed coffee, in-house made sandwiches, and carefully crafted desserts will also be available at Knead! Knead will be your new favorite spot to grab coffee on campus! Not only will it be serving drip coffee, sandwiches, and desserts in residential McEwen, it will have a retail counter as well! 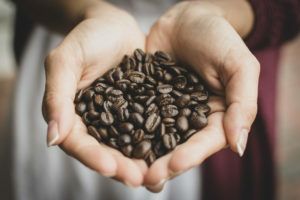 We’re excited to partner with Carolina Coffee Roasting Company to offer a unique Elon Blend at Knead, which will be available in a full menu complete with drip coffee, espresso drinks, and a refreshing nitro cold brew (perfect for hot Elon days!). Coffee is not the only thing on the menu! 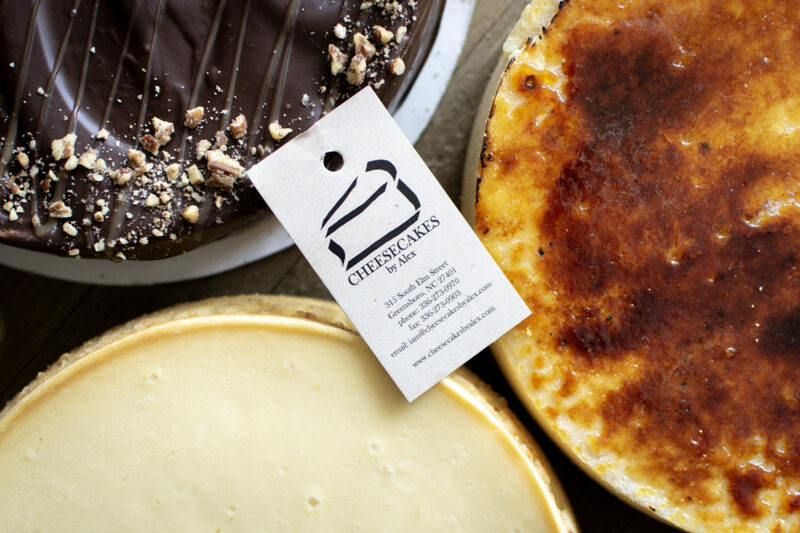 Knead will also feature carefully crafted, fresh pastries made in-house by our talented pastry team, as well as delicious cheesecakes and sweets from Cheesecakes by Alex, a local Greensboro bakery. 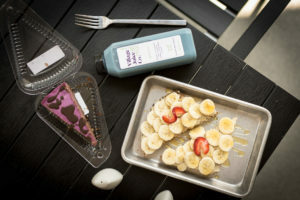 Village Juice Co. is an exciting, local juice company from Winston-Salem, serving cold-pressed juices, delicious nut milks, filling smoothie bowls, freshly-made salads, and a tasty toast menu. We’re so excited to have one of their newest locations right in McEwen Dining Hall! Sit and enjoy avocado toast and an acai bowl, or grab one of their fresh juices for a nutritious, on-the-go meal! Pei Wei offers fresh, Asian-inspired dishes in a new retail location in McEwen dining hall. 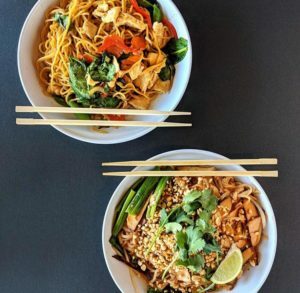 Pick out your favorite dish and our skilled chefs use premium ingredients and expert wok-searing techniques to make your dish right in front of you! Sit down and enjoy a delicious meal with friends, or grab your meal on the way to class! 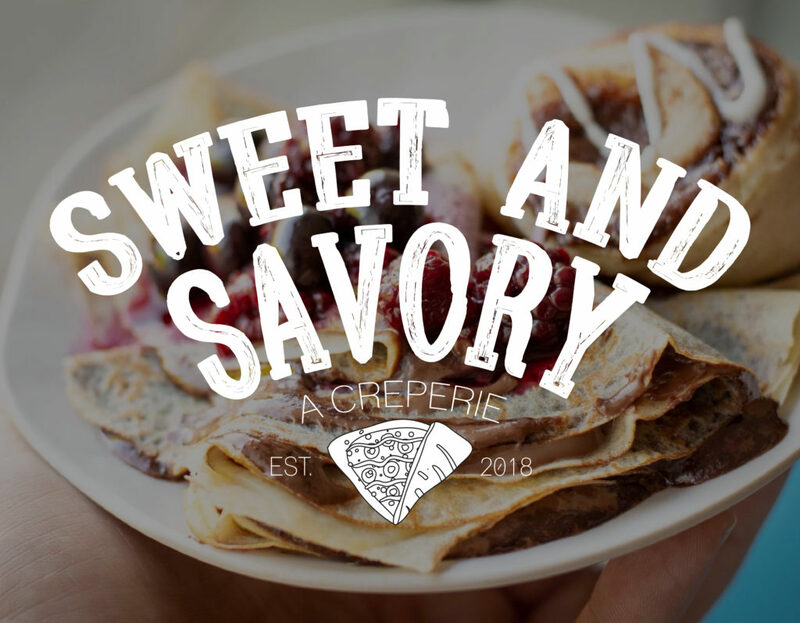 We’re adding a new creperie to Fountain Market called Sweet and Savory! We’ll be serving a variety of freshly made sweet and savory crepes. We’ll even be using certain local ingredients right from Fountain Market for a local flair! Get ready to have a favorite new breakfast obsession! 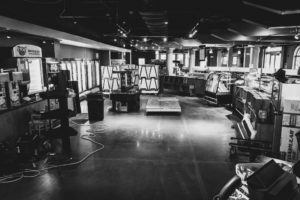 Fountain Market is getting a renovation this summer! With it comes a bunch of new, exciting products to fill our new shelves. Local products, gluten free options, and everything that you may need for your dorm room can be found here! Plus, you can stop by for a sandwich at Boar’s Head Deli or a crepe at Sweet and Savory! We are bringing a ton of new local connections to campus! We’re so excited to be working with local brands like UpDog Kombucha, Carolina Coffee Roasting Company, Cheesecakes by Alex, Big Spoon Roasters, Gorilla Grains, Maple View Farms, Village Juice Co., nutn but luv, and The Mad Popper, not to mention new local food trucks and restaurant takeovers! We’ll also be sourcing more and more local ingredients in our residential dining halls! We’ve added many exciting elements to our residential dining program this year! We’re taking more action to address dietary needs on campus, such as introducing a new allergen solution station at The Edge at Lakeside. This station will serve a daily menu that will exclude the Top 8 allergens plus Gluten. We will also have Made Without Gluten and Vegan options daily in all of our dining halls! Our culinary team is stronger than ever! This year we’ll be challenging ourselves to push the boundaries of what food on a college campus can be. That means making more and more of our food from scratch, developing new, chef-led recipes, and sourcing our ingredients locally and responsibly. We can’t wait for everyone to get back to campus so we can get started! See you soon!